Alison Cornwell CA has seen how changes in the professional world can impact a developing career. Speaking at an ICAS event in St Paul's Cathedral, she suggested that being a talented CA only continues to hold relevance if you are also constantly learning. 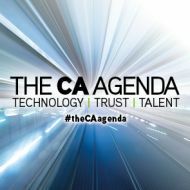 The CA Agenda is a new thought leadership initiative from ICAS, bringing the issues that matter into sharp relief in Technology, Trust and Talent. Talented individuals are facing a crisis of relevancy in a changing world, says Alison Cornwell CA. Do we need to recognise that having ‘talent’ just isn’t enough? “The dictionary defines ‘talent’ as the natural ability to do something well. “My uncle was an accountant and I remember watching him in the early 1980s as he added up columns of numbers in client ledgers using mental arithmetic – always with 100% accuracy,” Alison recalled. Those skills have lost their meaning thanks to the progression of technology, something that continues to alter the profession on a daily basis. To develop talent that is relevant and valued, ask yourself: what can I do that a machine can’t? 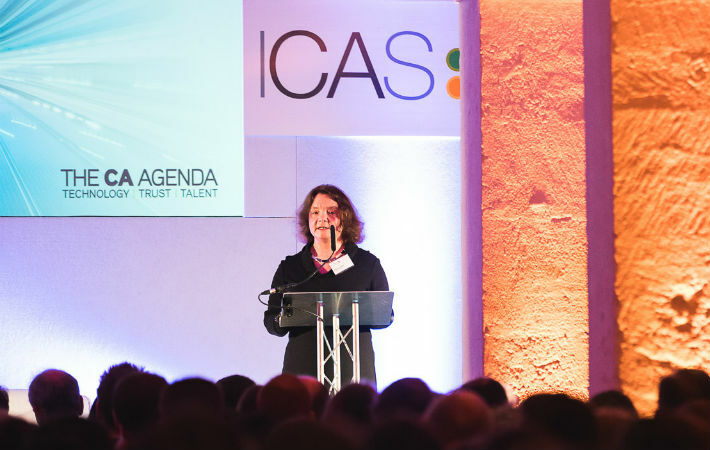 Speaking at the launch of the CA Agenda, the new thought leadership initiative from ICAS, Alison highlighted the need for awareness. “To identify a path to success and develop talent that is relevant and valued, ask yourself: what can I do that a machine can’t?” she challenged. “Business relationships and negotiations, for example, where the key is understanding business objectives alongside the needs and aspirations of the other parties involved. As Group CFO of Vue International, Alison has seen first hand what it means to be reinventing from the inside-out, rather than waiting for the industry to change around you. “We must also consider who builds these AIs and technologies in the first place,” she said. “I can offer an example from my own position at Vue International, where we have developed an AI tool that sits on a data warehouse of millions of data points and determines the optimal film schedule, by cinema, by screen, by day and time. Alison, who qualified as a CA in 1990, has also considered what elements of her training have remained relevant to her job and the hyper-connected world of today. “That education has instilled world-class technical and ethical tools and capabilities,” she stated. “With an increasing focus on regulation, governance and globalisation, there is a demand for people with strong financial and interpersonal skills. By definition, every CA is talented. We need to ensure that our talent remains relevant in order to be valued. However, CAs and other professionals must continue to evolve and move with new developments to continue in their roles as trusted and respected advisors. Adapting to and embracing change is, ultimately, the best way to survive it. How, then, can professionals use new technologies, skills and techniques to enhance their own talents, instead of being left behind? "For me, it is all about identifying and implementing enablers,” Alison explained. “We should design and automate information flow to focus effort on consequences and follow-ups, rather than spending time on the production of information. Let each of us, as talented individuals, be courageous and grab the opportunities afforded to us. Show the world that we are, rightly, proud to be CAs. Even if an individual lacks the technical expertise to build an innovative AI or automate a process from scratch, the opportunity to spot and make use of potential developments sits with the professional world. “Let each of us, as talented individuals, be courageous and grab the opportunities afforded to us. Let us demonstrate integrity in everything we do and show the world that we are, rightly, proud to be CAs,” said Alison. ICAS is acutely aware of the changing talent needs of the workforce, as well as how CAs need to elevate their skills to find their place within it. How can we keep our own talents relevant 10 years from now? The CA Agenda offers a platform for these discussions and for members to realise the value of their own outlook. We want to hear from CAs who can offer their insight on the future of Talent. Whether you work in business, practice, at a cutting-edge start-up or incumbent institution, if would like to be involved in influencing the agenda, or participate as a content contributor, please get in touch.